Whilst I was in Laos in November 2016, I visited our volunteer teaching projects in Luang Prabang. Sadly I only had a day in which to take in the amazing projects, but in that period I was blown away by the work that volunteers are doing here. Initially I was taken to the monasteries where volunteers teach English. There are currently two monasteries – one which is very poor, and one which is rather better off. It was very interesting to see how the monasteries differed, and how the education of children here is very much the luck of the draw. Volunteers are very welcome here, as the monasteries wish to have rounded and cultured members of their community and religion. In Laos it is not unusual in rural communities for young boys to leave their families to go and live in the monastery. The boys become novice monks, receiving food, accommodation, education and religious grounding up until they turn 18. At the age of 18, they are free to become a monastic monk, or leave and seek work. Many of the monks have ambitions of university and work in the wider world, for which English is essential. Volunteers here are helping these boys to have opportunities which they, until now, could only have dreamed of. The second project that I visited was a school for girls. This school teaches not only English but also empowerment. 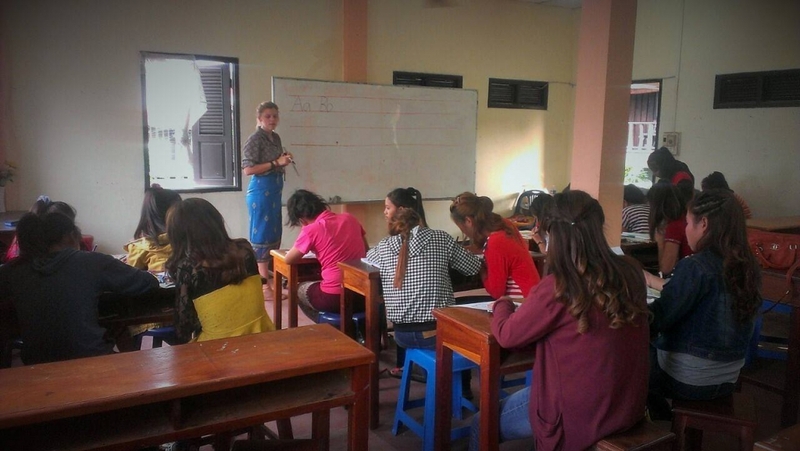 The gender divide in Laos is substantial, and many girls will fall behind in education. The girls that are being taught here come from very disadvantaged backgrounds, and this project aims to turn things around for them and enable the girls to enter into the workplace. Luang Prabang is an important centre for tourism, and as such English is essential if you wish to work here. English is a real gift, and one that the girls are desperate to make the most of. In addition to these projects, volunteers also help university students to improve their English for their exams, and also help in a local English centre teaching adults, children, monks – anyone who wants some assistance! The project is inspiring, and living in the beautiful city of Luang Prabang provides a fantastic backdrop to this project. I loved the volunteer house, with a huge outdoor terrace, a living room, comfortable bedrooms and a great teaching resources room just down the street in the local school. 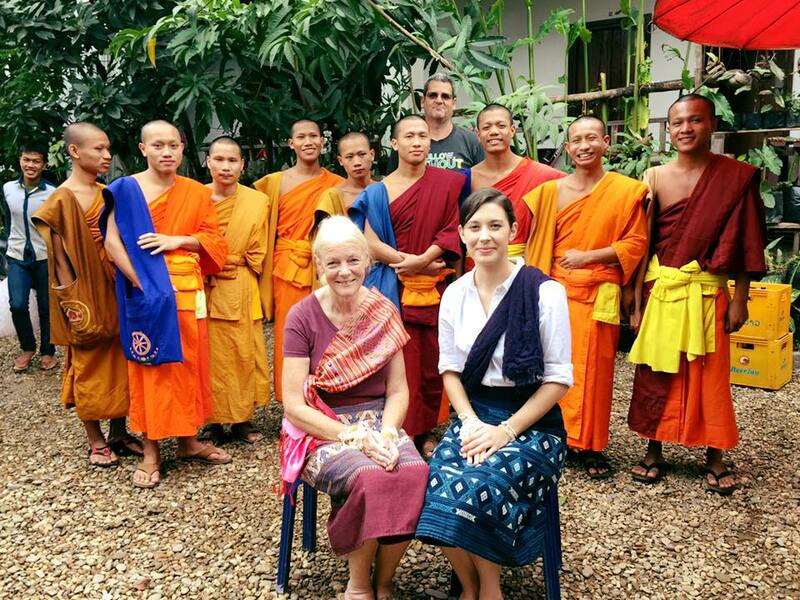 To find out more about the volunteer teaching projects, check out our teaching English to monks page and women’s empowerment volunteering page.